This one’s for the procrastinators, the ones who are swamped, the ones who are fed up of missing out. Well today that all changes. Today you’re leaving the ‘I’ll get round to that’ Republic and taking a second to make sure you don’t miss out. 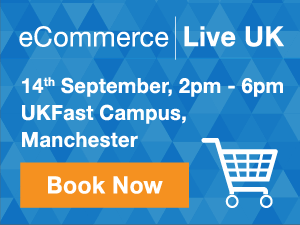 If you haven’t seen the increasingly enticing news of eCommerce Live UK 2016, which is going down on Wednesday 14th September – or just haven’t gotten round to nabbing your spot yet – here’s a quick roundup of the many reasons to attend, a look behind the scenes at last year’s event, and another chance to get a ticket. If you’re reading this you probably already know that online retail sales in the UK reached an estimated £52.25 billion in 2015, with the average shopper spending an incredible £1,174 online. You probably already know that mCommerce in the UK is expected to be worth 30 billion euros this year, and you almost certainly know that the festive season is a-comin’. Sorry about that one. The good news is, in about two seconds, you’re also going to know how to make the most of all of these things. Over the last few weeks we’ve been getting pretty flippin’ excited about eCommerce Live UK 2016. Putting my dubious powers of wordsmithery to better use than cantankerous emails to my broadband provider or love letters to the entire cast of Game of Thrones, we’ve had a bit of a blog series about why this is the event you need to attend. We’ve talked about the fact that the event is going to be jam-packed full of insights to see you through Black Friday, Cyber Monday and beyond; why the speakers are nothing short of incredible; and why the hot topics they’ll be covering are ones that any eCommerce evangelist needs to be on top of. And here’s what you need to do now – book your free place; easy! Hopefully you’re now as excited as we are for next week’s event. The good news is it’s not too late – you still have a chance to book your tickets. If you want to get involved in the lead-up to the event, find us on Twitter at #eCommerceLive16. Online buying: How much power do you have?